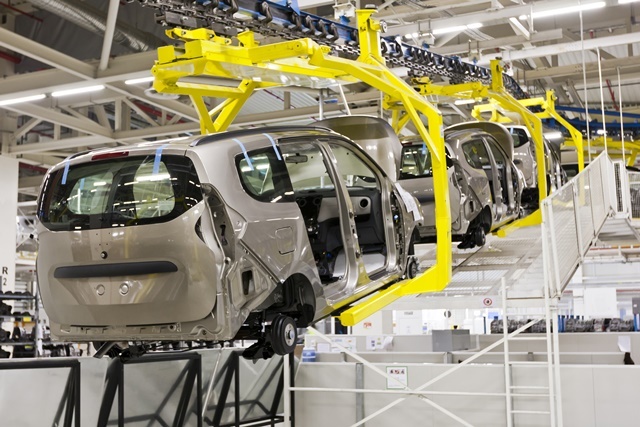 A new survey published today by EEF, The Manufacturers’ Organisation, shows that with just six weeks to go until the UK leaves the EU, less than one in five (18%) of manufacturers are prepared for a no-deal scenario. While 63% of companies have embarked on a course of no-deal panning, 8% have yet to start any planning for crashing out of the EU and a further 9% have no plans to make any preparations whatsoever. Unsurprisingly, 84% of companies remain concerned about the impact on their business of a no-deal Brexit, with 64% of manufacturers saying this would immediately result in price increases on products. None of our survey sample of companies said they would be able to cut prices in the event of a no deal Brexit. As the Brexit countdown reaches its conclusion, EEF conducted a small snap survey of members. Respondents remain concerned that Government will not manage to reach a deal with the EU, with more than half (54%) fairly or highly sceptical that Government will manage to avoid a no deal. However, a quarter (26%) said they were very or fairly confident Theresa May will secure a deal for Britain. Almost one third (29%) of manufacturers say a no deal Brexit would mean job cuts. And when asked about the best way to avoid a no deal, 40% supported a complete revocation of Article 50 but almost one in five (23%) thinks Parliament should back the Prime Minister’s original deal. A further 28% believe she should drop her red lines and negotiate a new deal and fewer than 5% think the Government should hold tight and hope that the EU blinks first. Commenting, Stephen Phipson, Chief Executive at EEF, says: “Today’s research should serve as a wake-up call to Government – manufacturers need a deal to be able to deliver for the UK economy – a no deal is simply not an option and would be catastrophic for our industry and the 2.7million jobs it provides around the whole of the UK. “Without the clarity businesses have so desperately needed for the last year, the have been unable to prepare and that is why so many are in the dangerous situation of having been unable to make any concrete plans. That one in five UK manufacturers are still not prepared for a no-deal scenario, which is looking more likely with every day that passes, is terrifying.